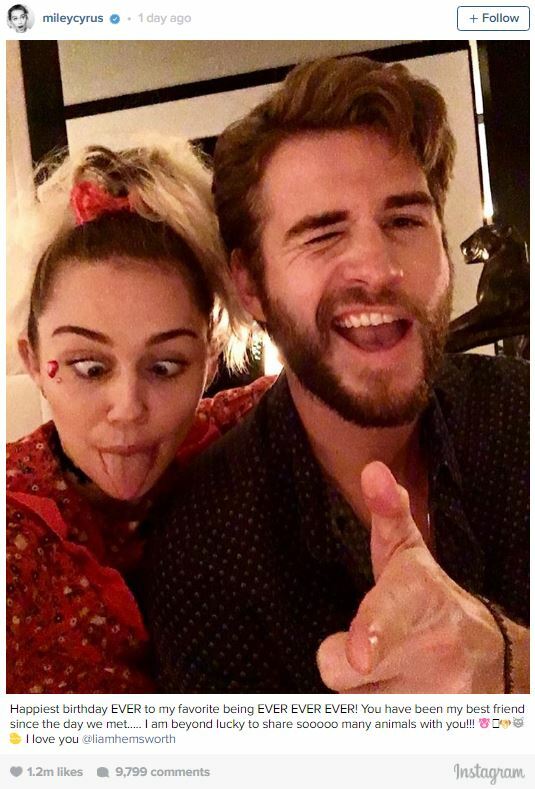 Miley Cyrus – American singer, songwriter and actress who became a teen sensation for her portrayal of Miley Stewart in Disney’s Hannah Montana, has professed her love for Liam Hemsworth, who is famous for his role as Gale Hawthorne in the epic The Hunger Games film series. Miley Cyrus wished Liam Hemsworth a happy birthday this Friday. Cyrus and Hemsworth had ended their engagement in 2013, after being engaged for more than 14 months. Things got worse between the two when Liam was found sexting with January Jones. There were also reports about Liam making out with a mystery brunette. All these eventually led to the duo ending their engagement and calling off the wedding. However, Miley Cyrus and Liam Hemsworth reconciled in 2016. And now their relationship seems to be going stronger than ever. The 24-year-old American singer dedicated a sweet post to The Hunger Games actor on Instagram. Professing her love for Liam Hemsworth she wrote – “Happiest birthday EVER to my favorite being EVER EVER EVER! You have been my best friend since the day we met….. I am beyond lucky to share sooooo many animals with you!!! I love you @liamhemsworth”. The duo was together during Christmas. Miley Cyrus and Liam Hemsworth spent Christmas with Hemsworth’s family with the actor’s rescue dog Dora. After the initial differences and amidst reports of Liam’s affairs, the duo has somehow reconciled and are now planning their wedding. In 2015, Liam Hemsworth had portrayed the love interest of Kate Winslet’s character in Australian literary adaptation The Dressmaker. Last year, the actor starred in Independence Day: Resurgence which was directed by Roland Emmerich. Miley Cyrus & Liam Hemsworth Pregnancy Update: Singer Gives Up Smoking Pot, Planning For Twins? 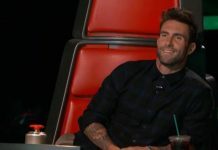 Adam Levine’s Exit From The Voice Season 13: Is Miley Cyrus Feud The Only Reason? 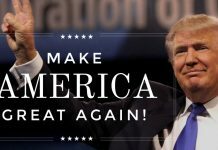 Will These 6 Celebrities Leave the U.S. After Donald Trump is Elected as the President?